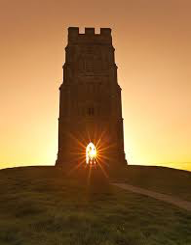 Do you hear the call to journey with me in 2019 to the pathway of the earth-dragon line of Mary and Michael in Glastonbury? 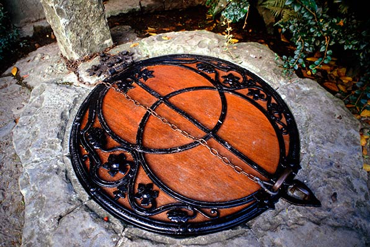 A Celtic Odyssey is calling us to Sacred England. 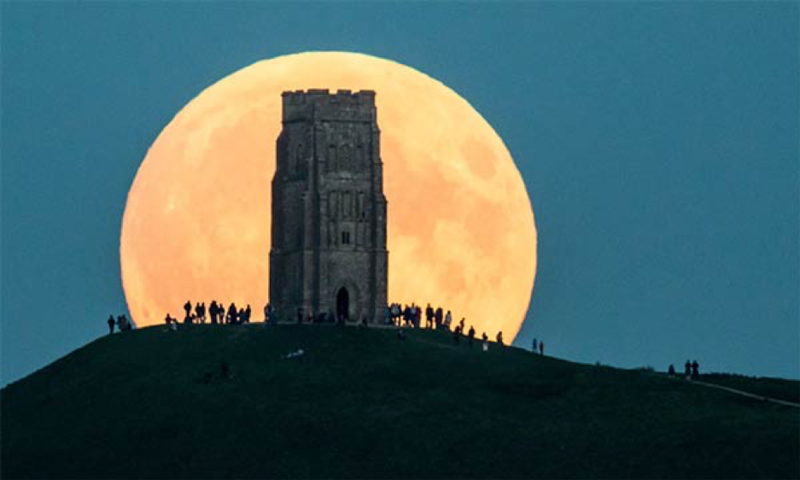 The 2019 course begins with a 15 night retreat in the ancient power places of Avebury and Glastonbury. The training will continue for the next twelve months providing the most complete path to becoming a fully skilled professional Crystal Sound Therapist. We have come to a time in history where we are being called to find our courage, be brave, believe in ourselves and in humanity and follow our path to happiness and peace. By following our heart and knowing the benefit first hand we can more easily assist others to follow theirs. All of us will be a part of the New Group of World Servers. All true servers everywhere belong to the New Group of World Servers, whether their line of service is cultural, political, scientific, religious, philosophical, psychological or financial. They constitute part of the inner group of workers for humanity, and of the world mystics, whether they know it or not. Read more about it here from my Esoteric Philosophy teacher, William Meader – https://meader.org/articles/the-new-group-of-world-servers/ Now is the time to step forward into your own radiance and become who you want to be. For those of us who hear the calling, working consciously with crystal singing bowls is our “path of the heart”. It is here we find our voice and sing our heart song. These pure vehicles of light transform in a way that is both uplifting and deeply healing. To become a CRYSTAL SOUND THERAPIST with crystal singing bowls is to be willing to let go of the old paradigm of not being good enough, not wanting to be seen and not being able to afford to do what you want to do. I invite you to believe you can have what you want, do what you are being called to do and join other pioneers who are bringing Crystal Sound Therapy as a healing modality and a form of deep transformational music to the global community. In choosing the country and venue I ask for and wait for direction and guidance. 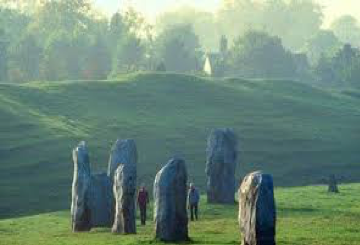 And this year I have been guided to bring the International Crystal Sound Therapy course to the ancient sacred energy of Avebury with the largest location of standing stones and near Glastonbury where the Michael and Mary leylines cross and create vortexes of energy called the earth-dragon line. The male and female power lines are a potent symbol of the alchemical fusion of universal opposites which we will tap into with our alchemy crystal singing bowls. I feel it’s very important to hold the retreat in places that have a special magic. Some of the magical places have been Costa Rica, Cambodia at Angkor Wat and Phnom Penh, Bali, Secret Valley of St Albans in NSW and the Brahma Kumaris Centre for Spiritual Learning in Wilton NSW. All had a refined, pristine energy that beautifully inspired and supported our transition into the crystalline frequency of crystal singing bowls. These prices are correct as of Feb 1 2019, but may be subject to adjustment due to fluctuations in international exchange rates. Once payment has been received, no further cost will be incurred regardless of change rate fluctuations. Places on this course are limited to eight participants! If you are interested in taking part, it is recommended that you guarantee your place by paying a 50% deposit as soon as possible. The balance is required from all participants before or by May 2. Under special circumstances, I am prepared to offer an instalment plan. In this instance, payment of three-quarters of the total cost is due by May 2 while the balance can be paid off in fortnightly instalments. To register and secure a place, please make a deposit of 50% of the total course fee to Susie Nelson-Smith as soon as you are sure of your participation. The balance of the course is to be paid in full by May 30, 2019, unless you are paying in instalment. In the case of the Payment Plan option, payment of 75% (AUD$4,612.50) of the full cost of the course is due asap and no later than May 30, 2019. Subsequent fortnightly payments of a minimum of AUD$154 are required. Cancellation: If you need to cancel, a full refund of the fees will be made up to and including April 3 2019, minus an administration fee of $100. After this date, cancellation will incur a cost of $1000. Where the Crystal Sound and Light Institute cancels a course and an alternative course cannot be offered to the student, a full refund of the fees will be made. The course is accredited with the International Energetic Healing Association (IEHA) and the College, Crystal Sound and Light Institute, is an approved training provider with the International Institute of Complementary Therapists (IICT) and as a student and then graduate you will be able to insure your practise internationally with them. Transforming with crystal sound is a powerful life-changing and deeply balancing relaxing experience. As you progress through the study program your life will change forever and this is because you will be working very regularly with your crystal bowls. An inevitable outcome from this will be releasing and letting go of what no longer serves you and recalibrating your energy to be more aligned with your higher self-expression. Quartz has the amazing ability to magnify and amplify. 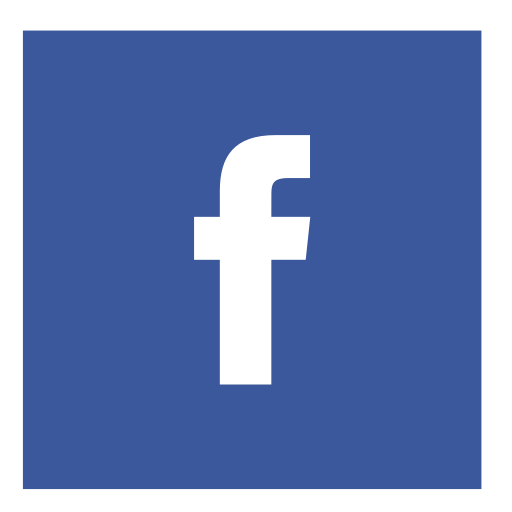 This is why it is used in modern communication systems – computers, medical equipment, TV, mobile phones etc. With the sounds of the crystal singing bowls it is possible to release and heal deeply held emotional wounds, change energy patterns, find inspiration and increase creativity, heal the physical body and connect more deeply with the soul. We naturally entrain with the vibrations of the crystal singing bowls because our natural state of being and our desire is to be in balance. As we entrain we bring ourselves back to ourselves. Your passion and desire to activate the highest octave within is honoured and supported. The Crystal Sound Therapy course has been taught since 2000 and as an accredited professional program since 2004. 2019 is the sixteenth year it has been offered as a 12-month course and the 7th year it will be offered in the international format. Teaching the face-to-face component as a 15-night retreat has meant that students from all over the world can participate more easily in the professional program. Playing the crystal singing bowls for 20 years now has benefited me in so many positive ways. At times the changes have not been easy. And at these times I had to make a choice to stay as I was or bring forward the warrior me. This has been a truth for all of us who have chosen to walk the path as a Crystal Sound Therapist with crystal singing bowls. You need courage to be a pioneer in a new field especially with the pure energy that activates every level of our being and creates an opportunity to look deeper inside. The sound vibrations of the crystal bowls is like a truth serum that invites us to see our own truth and own it. Once chosen and embraced it is a pathway of infinite joy, creativity and fulfilment. Be prepared to find your true authentic self. Playing the crystal singing bowls is not difficult and most people can make a sound easily. Playing the bowls musically takes time and playing the bowls as a healing modality . . . well this is quite a journey. I believe professional training is essential for the crystal sound therapist to have the knowledge, skills and experience to guide the client deep within the physical body, psyche and soul for healing. Indeed, it is the soul level connection that transforms a simple relaxing healing session into a life-changing experience because it is at this level that we can more easily connect to our essence – our higher self – our soul essence. Do I need to be a musician to do the course? * Vibrational healing lifestyle and more . . .
You will need a chakra set of crystal singing bowls + an F# bowl. This is so you can complete the Advanced Therapeutic Sound Session Techniques – C, D, E, F, G, A, B + an F#. I have been importing crystal bowls for over eighteen years and have developed an excellent working relationship and friendship with Crystal Tones, the creators of alchemy bowls. Crystal Tones continue to lead the way in creating the most sublime crystal singing bowls in alchemy, classic frosted and practitioner bowls as well as silk and ballistic heavy duty carry cases. I have a finely tuned ear and heightened intuition with the crystal singing bowls and will work with you to find the bowls that resonate for you. I find a great deal of excitement and joy in my role to support you in finding the most gorgeous set of bowls to meet your needs and budget. Some of you may already own crystal singing bowls and I can support you in either completing your chakra set or finding the special bowl that talks to you. You will need your chakra set of bowls when you arrive home from the Retreat so you can move ahead with your study program. You are not required to bring crystal bowls to the Retreat. However, one or two of you may want to purchase the special chakra bowls we use in the Retreat as they will be vibrating with energy of our group consciousness and the country where we hold the CST course as we play them for the duration of the retreat. The Study Program is so worthwhile . . .
* Business vision and more . . . Graduates will receive certification upon successful completion of all assignments, learning outcomes, research and assessments. Becoming part of a network of Crystal Sound Therapists who support and serve their communities is a very positive way in which to serve humanity and ourselves. Understanding the vibrational resonance between Nature, Humanity and the Cosmos creates a deep appreciation for the wonder and joy of life. If you would like to participate in this or any one of my courses, please let me know by completing the form below and I shall get in touch with you to discuss the details.